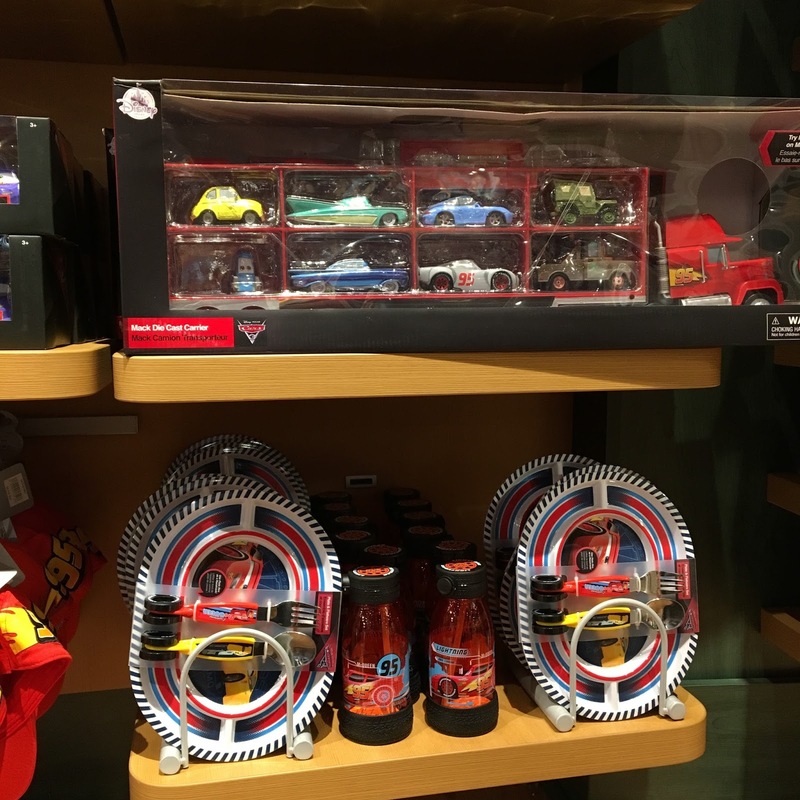 This past Monday (April 17th) the Disney Store/DisneyStore.com unveiled and released their brand new exclusive collection of Cars 3 merch! 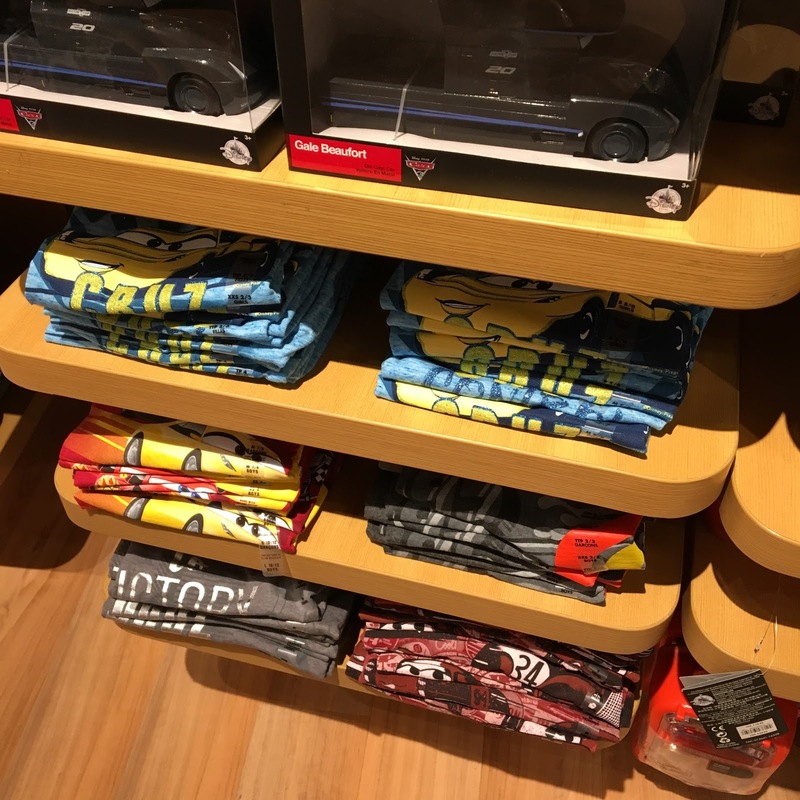 As usual, I like documenting the in-store set up here and giving you a peek at what's available whenever new Pixar merch hits...this time would be no different! 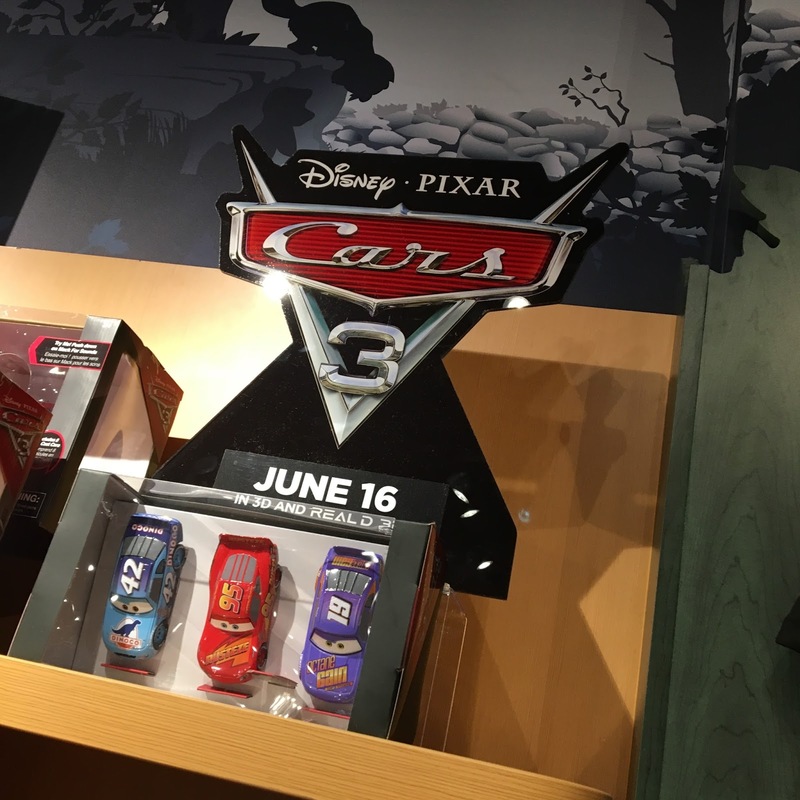 So far since I started this blog, I've done this for Monsters University, Inside Out, The Good Dinosaur, Finding Dory and now Cars 3. 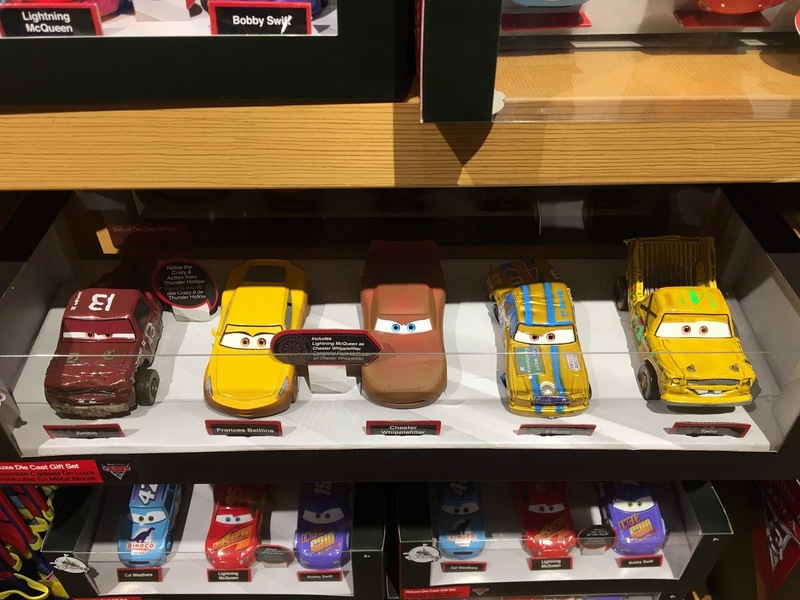 The tradition continues. 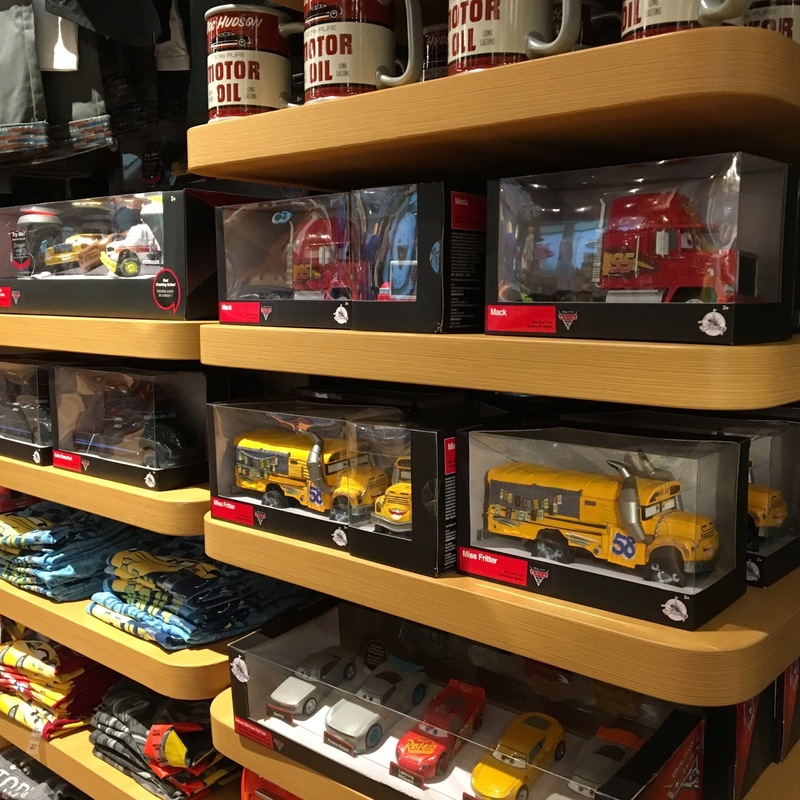 Take a closer look at all this fun assortment below! 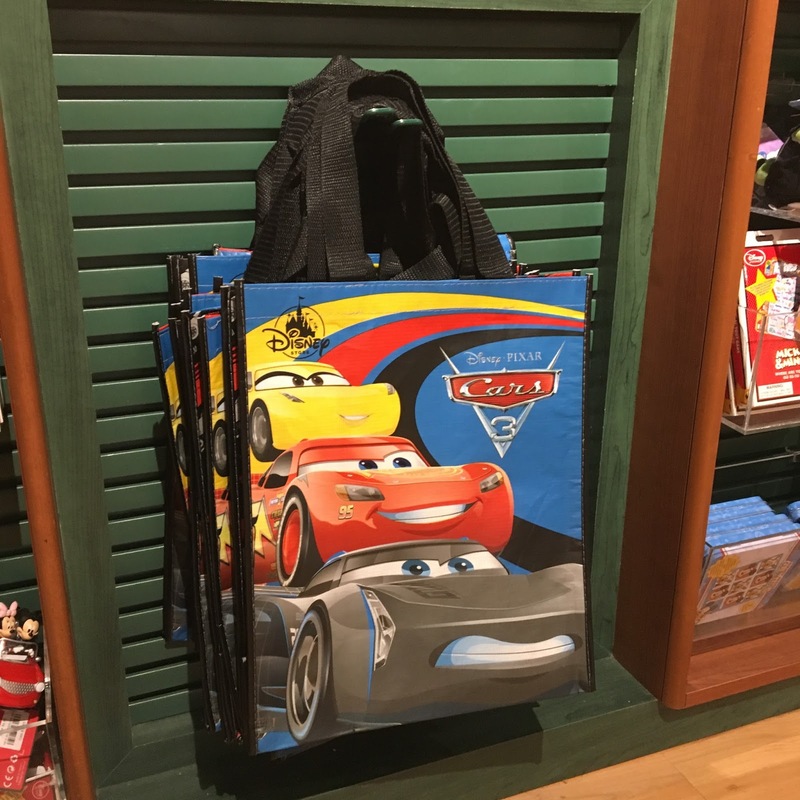 You'll see a plethora of new diecasts (singles and multi-packs) featuring new characters, mugs, a backpack, remote control cars, an activity book, a jacket, a figurine set, launchers, boy and girl kid tees, men and women adult tees, mealtime items, and MORE! 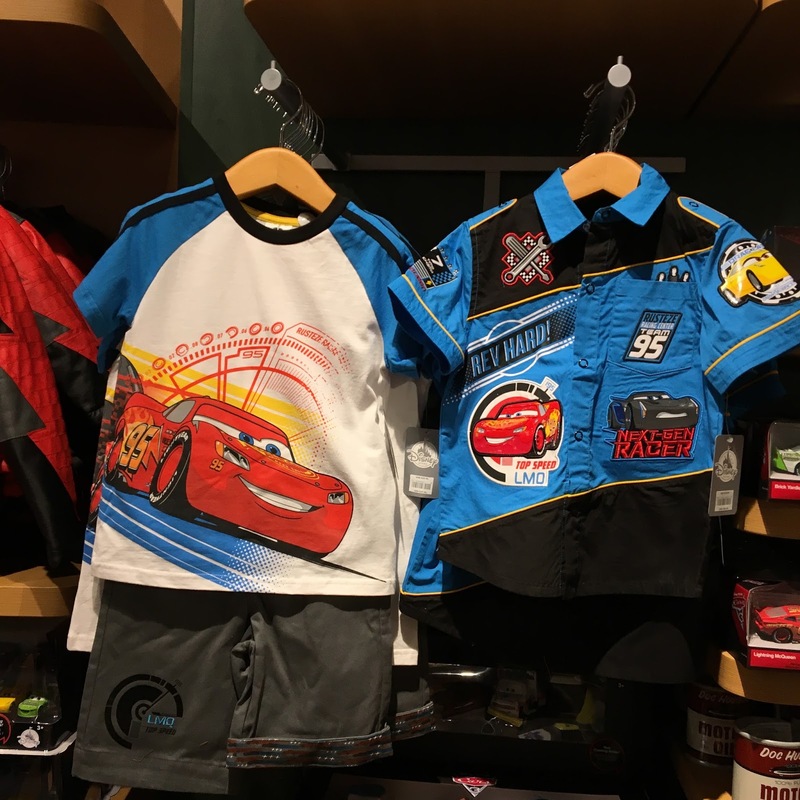 Note: If you missed it, you can also check out my write-up on the first phase of Disney Store Cars 3 merch (swim gear) HERE—which became available back in February. 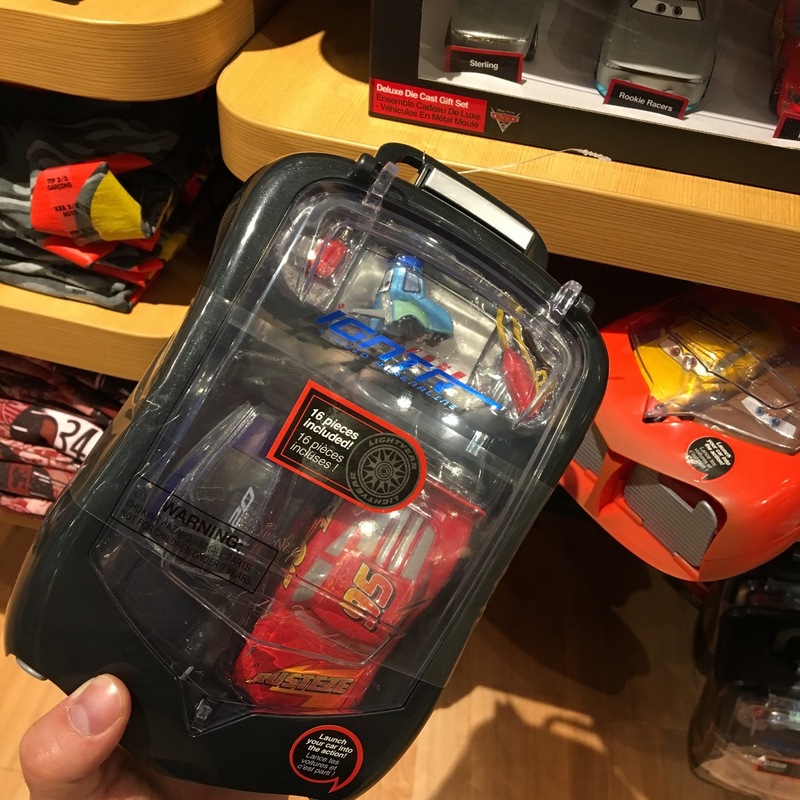 Since I really only collect Mattel Cars characters when it comes to diecasts (and considering how much here is really made exclusively for very young fans of the franchise; like the clothing sets, jacket, backpack, mealtime sets, etc. 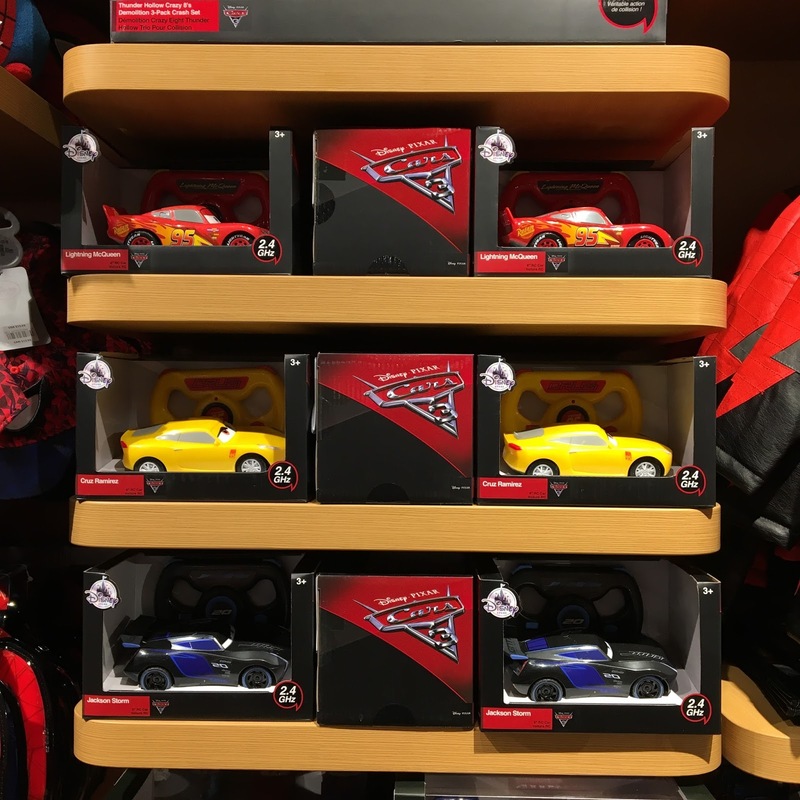 ), I unfortunately don't see myself picking most of this up for my personal collection. 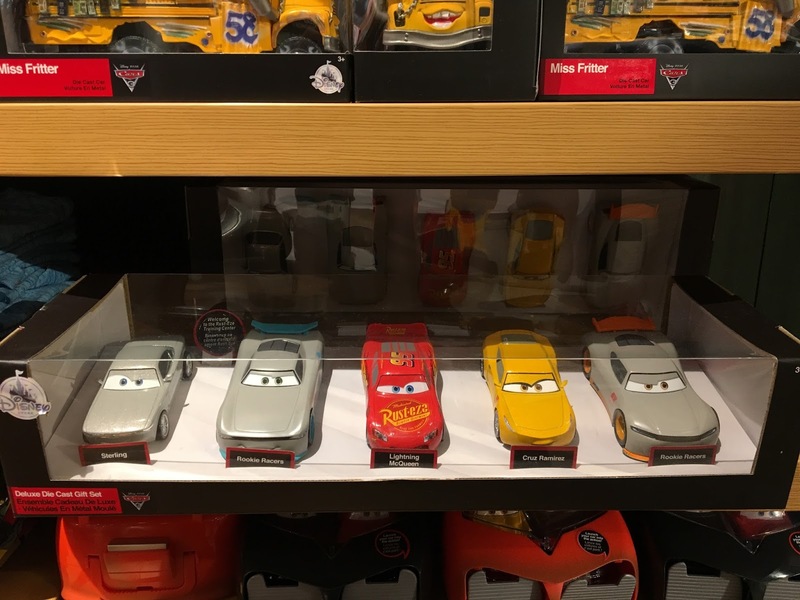 Honestly it comes down to the fact that there aren't many products here that really stand out to me as must haves. 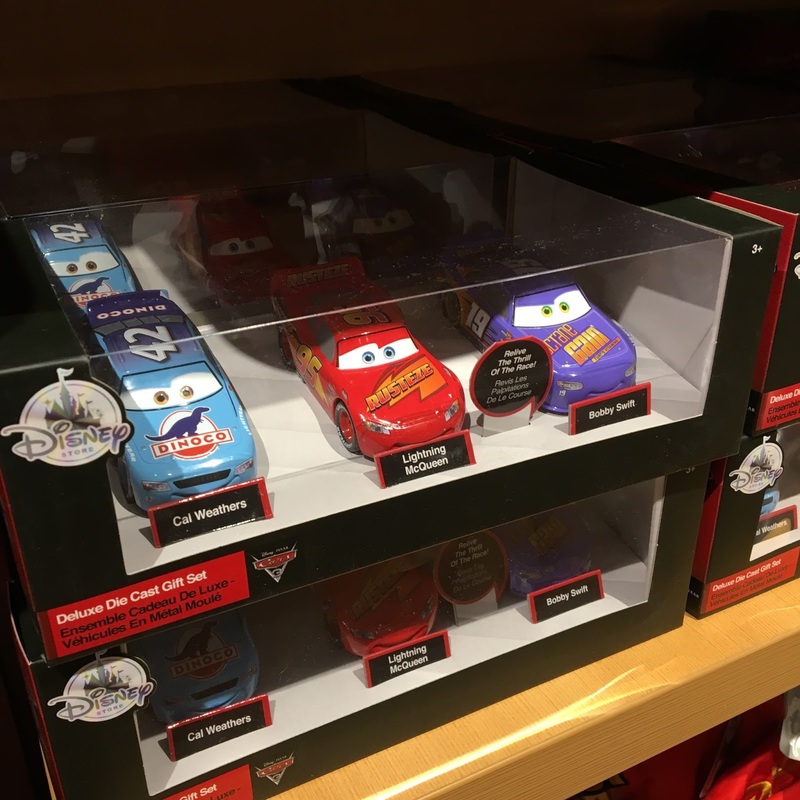 I know it's odd, since I previously usually buy out the whole section when new Pixar products launch! 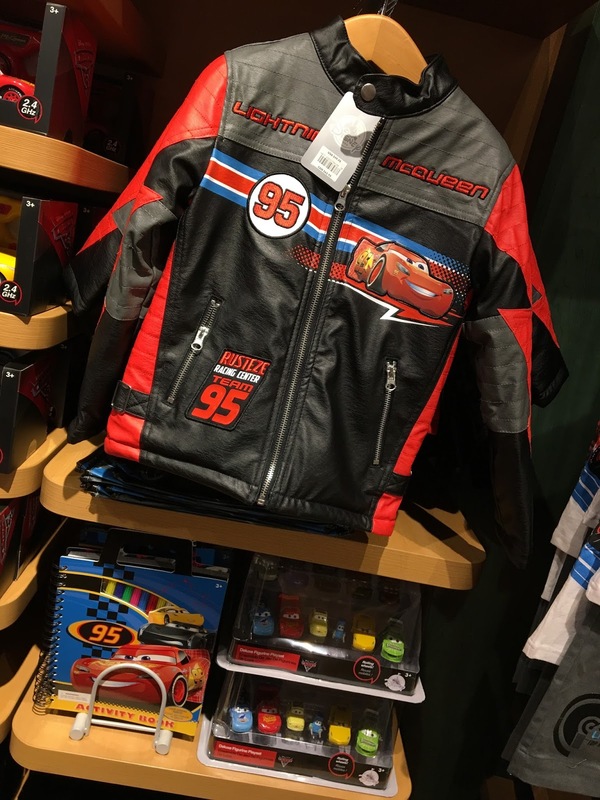 Regardless of my thoughts, many collectors and young fans will absolutely love this new merch and will have so much fun collecting it. 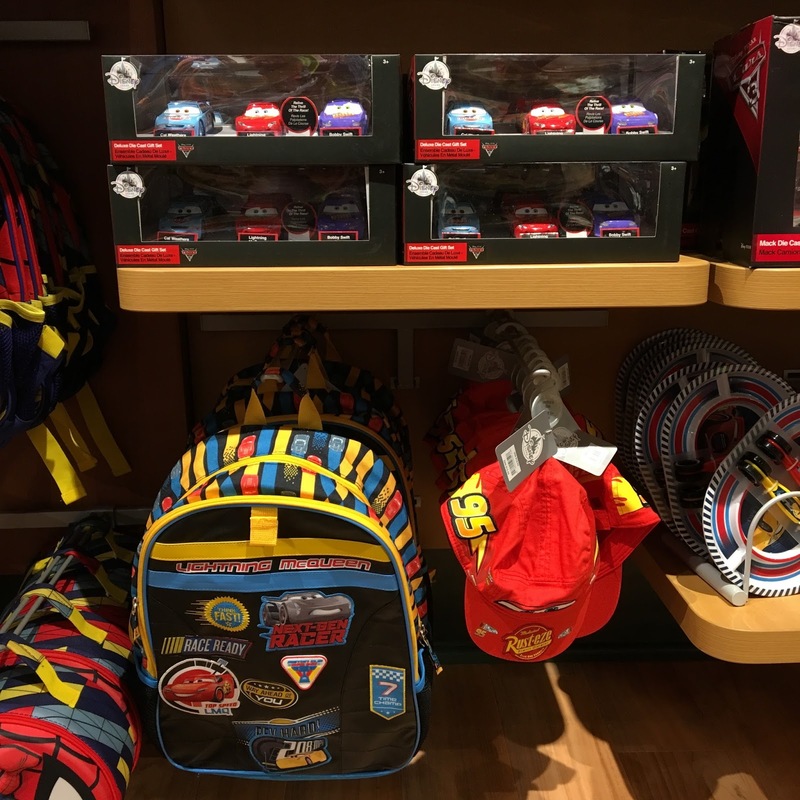 There are some really cool items that kids will have a blast with for sure. 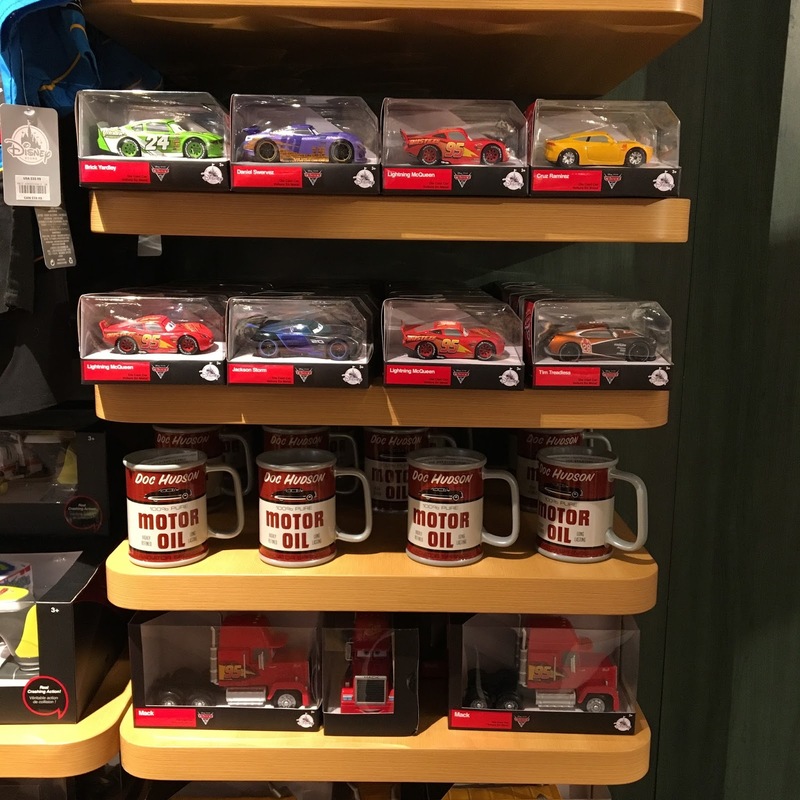 And mind you I'm not going away completely empty handed...I'll most definitely be picking up that awesome Doc Hudson mug, the reusable tote and possibly the men's tee! Those are my three standouts. 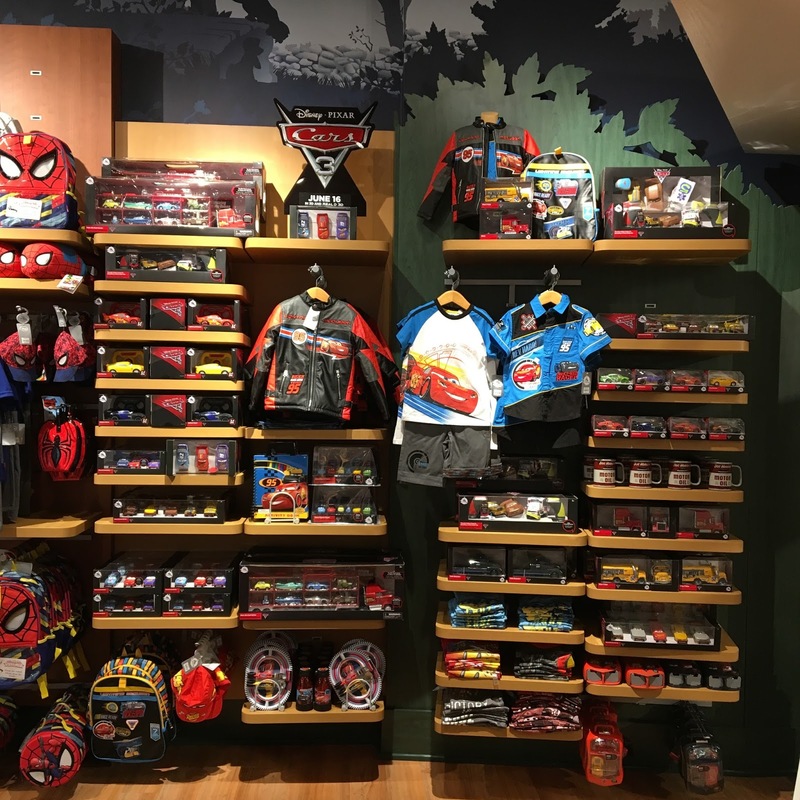 Visit your local Disney Store soon to check all this out for yourself OR head to the Disney Store's website to order any of what you see here online. Be sure to let me know your thoughts in the comments below! 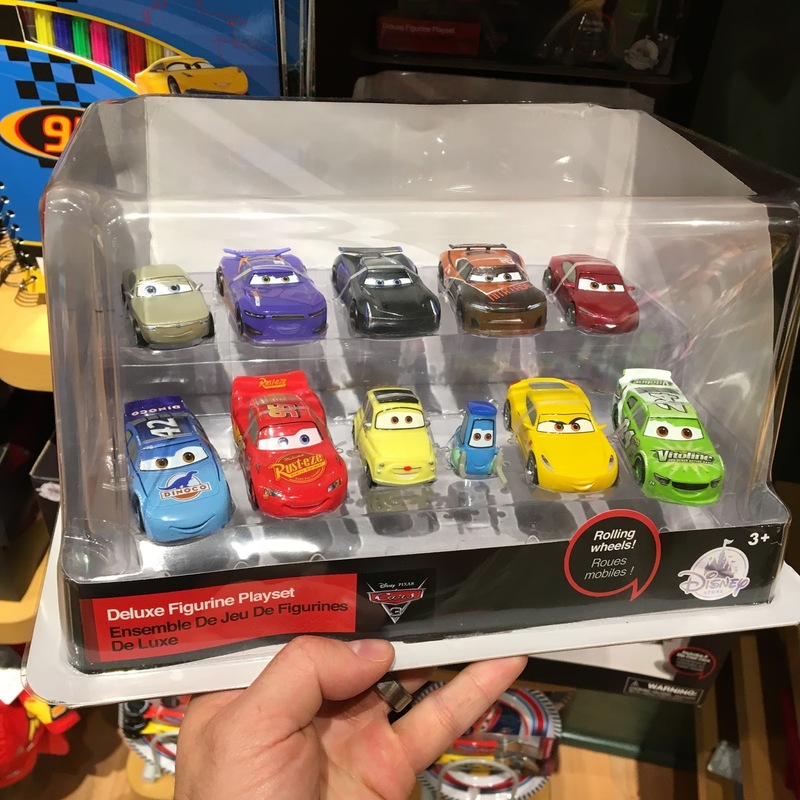 What will you be picking up?